A delegation from the Japan Society of Civil Engineers including its president took to Europe last month to have a look at civil engineering project for large science facilities. 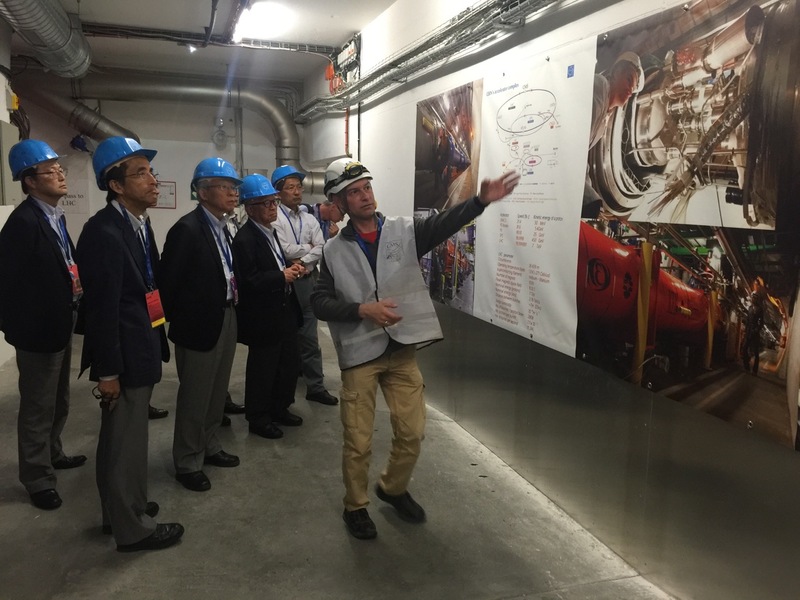 They visited CERN and DESY to look at past and current building projects, which they would use as a reference in case ILC is constructed in Japan. The Japan Society of Civil Engineers (JSCE) is a society with more than 100 years of tradition and some 39,000 members. 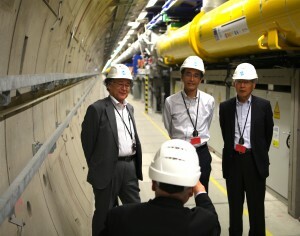 Its president is Noriaki Hirose, who was accompanied by four experts on from different companies whose specialities include tunnel engineering, water management and civil consulting and whose have been and are involved in many very different civil construction projects all around the world. KEK’s civil engineering expert Masanobu Miyahara and KEK visiting professor Katsuji Akita, an expert on Shinkansen construction in Japan, travelled with them. The JSCE has been very interested in the realisation of ILC project and very closely working with KEK to integrate the ILC civil engineering study for about 10 years.